Bucky Fuller discovered that Nature employs 60-degree coordination to achieve a minimum inventory/maximum diversity design approach that creates life support systems with the minimum expenditure of energy. The advantages of 60-degree vs. 90-degree coordination are subtle and extraordinary. The Cartesian Coordinate System results from the 90-degree intersection of three planes (that extend, at least theoretically, into infinity. 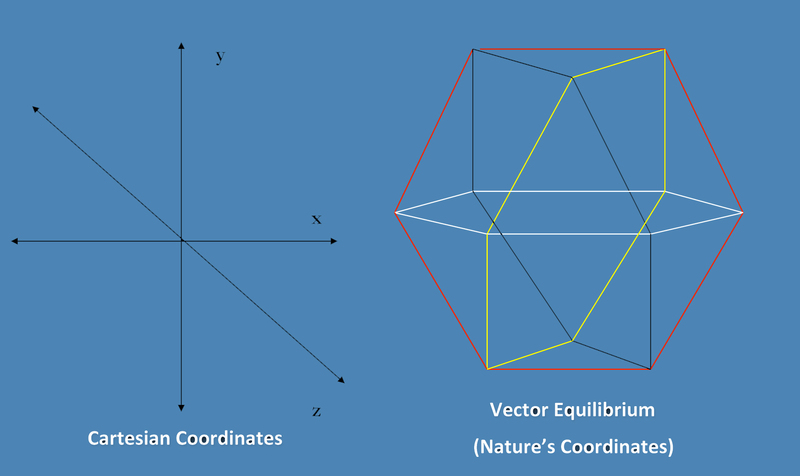 The Vector Equilibrium (Bucky's name for the 60-degree coordinate system is formed when four hexagonal faces intersect with each other at 60 degrees. 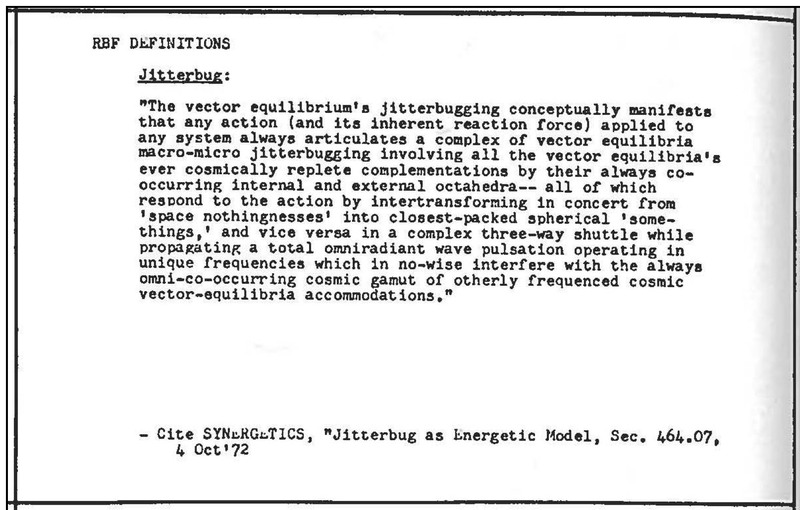 As you can see in the figure below, the Vector Equilibrium does not extend to infinity. It closes back around its center. 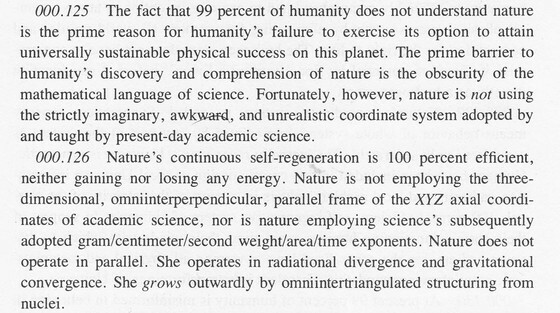 The 60-degreeness is not arbitrary. The vertices of the Vector Equilibrium correspond to the centers of twelve spheres of equal radius packed as tightly to one another as possible. 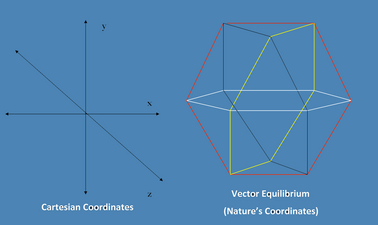 The Cartesian coordinate system consists of three open-ended "planes" meeting at 90-degrees - each extending to infinity. 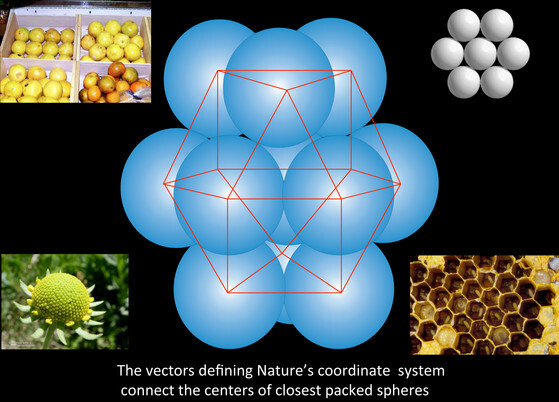 The 60-degree coordinate system that Bucky discovered is employed by Nature is comprised of four hexagonal faces each meeting at 60 degrees and closing back upon itself to create a cuboctahedron or what Bucky referred to as a vector equilibrium. 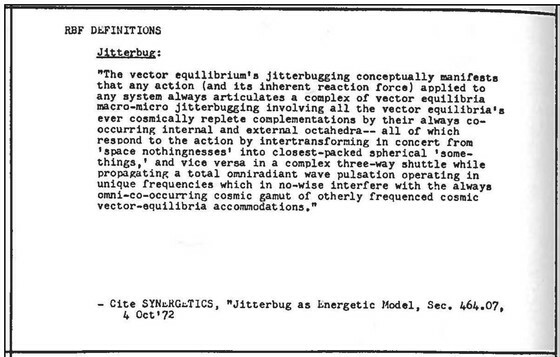 "The vector equillibrium is the zero starting point for happenings: it is the empty theater and the empty circus and empty Universe ready to accomdate any act and any audience." 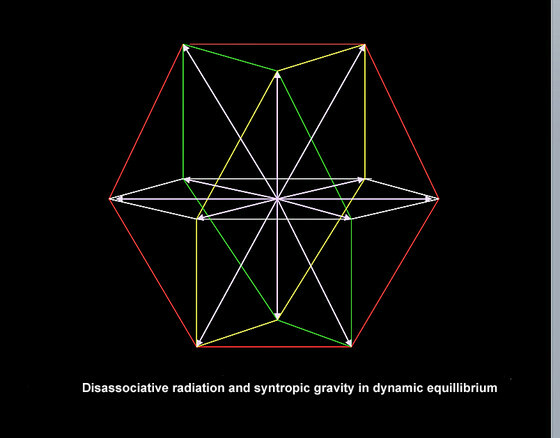 The creation of a two-frequency tetrahedron from four 0-frequency tetrahedron creates a central octahedron. Closest packing of tetrahedra can only be accomplished with octahedra. 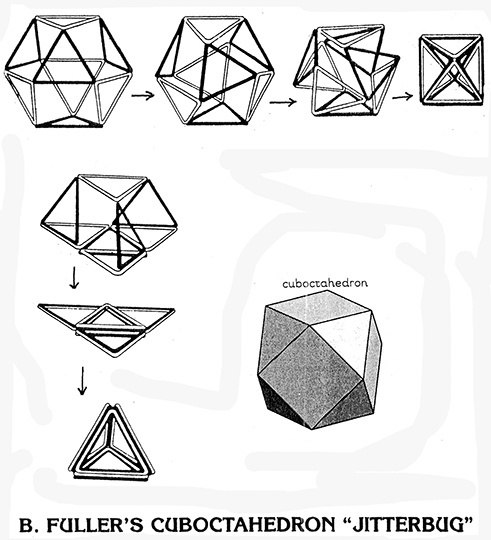 The octahedron is an emergent property stemming from the attempt to closest pack four tetrahedra. Play slideshow in PowerPoint below for an illustration of this.